Retirement planning should be an idea you put into action early on. You do not start planning for it when you are just a few years away from retirement. Not only will you have a hard time meeting your target amount, but you might also have to work longer just to retire comfortably. Planning for retirement should be done from your first paycheck all the way to the last. Gallup shares that consumers believe that retirement age is around 66 years of age. One thing you need to factor in is that there will be a time if you have a family and children, where you will have an empty nest. This is that part of your life where your children are all grown up and are either in college or living life on their own. This is a crucial part in retirement planning because what you do when the kids leave can have a big impact, positive or negative, with your retirement fund. It is not surprising for empty nesters to have some extra money in their budget when compared to expenses when the kids were still around. However, you need to be smart with that extra money. Here are a few things to look at to help you plan for retirement better while being an empty nester. There are a lot of retirees who are starting to see the wisdom in trading their big house with a tiny home. Mercury News even shares that the American Dream of having a big house has been replaced by a tiny home. There is a growing number of people who are seriously looking at moving into a smaller house in retirement. For one thing, you might no longer have the need to keep a 4 bedroom house with a garden if all your children are living on their own. You would have a hard time cleaning and maintaining such a big place. Not to mention the utilities on the house. Taking on a smaller home will free up some funds in your budget which you can put into retirement savings. One thing you need to remember though is that you have to time this decision. It is important so you do not end up either paying two mortgages or homeless. Selling the current one and buying a new one might seem like an easy transaction but the paperwork might add to your timeline. Make sure you are on top of everything so it proceeds as smoothly as possible. When you are planning to retire at a certain age, you need to make sure that you take advantage of every free money you can get. One of these is the matching program your company might have on your 401(k) contributions. There are a number of companies who offer this perk to encourage workers to save for their retirement years. The way this works is that your company matches a part of the amount you put into your 401(k). This means that you get free money just by doing what you should be doing in the first place. It might be difficult to try and max out your contributions but now that you are an empty nester, you might have the chance to do it. Retirement planning consists of saving money from start to finish. However, you need to understand that the amount needs to change as time goes on. Especially now that your kids have moved out of the house, you could allocate more of your money towards retirement savings. There are a lot of retirement mistakes people make and this should not be one of them. You do not have to put all your extra money into your retirement money all the time. It is important that you get to balance your finances as well. You might have to put some into your emergency fund or even as an additional payment on your credit card debt. The important thing is to add to whatever you are saving for retirement gradually. When you talk about retirement planning, it should not always be about money. You need to factor in your body and overall health as well. As you prepare your finances for retirement, you should do the same with your body. The healthier you are, the more you can enjoy your retirement years with family and friends. This means getting your daily dose of exercise whether you can lift weights, run, walk, or even swim. Vitamins or taking your maintenance medicine should be part of your daily routine. This will help keep your mind and body strong and healthy. Not only will you enjoy your retirement but you will be able to save money from doctor appointments and even over-the-counter medicines. It pays to live healthier now than later. Also, if you have been saving for a 529 plan for your children and they are already using it, that will free up as well. You might even be able to get away with using one car since you only have to worry about your schedule and your husband or wife. WIth all those extra money, you can work with a lean budget and use the extra money to strengthen your retirement fund. With an empty nest, it can be a good time to try and lower down your expenses. This can help you free up some more money in your budget. When this happens, you have to make sure that you use it for the benefit if your retirement fund. You might be tempted to shop for things you want because you have extra money in your finances. This is where a household budget should come into play. Having one gives you a guide on how to use your money. As you go through retirement planning, this will also be an important tool you will use in your golden years. The leaner budget you have, the easier it will be to save money and stay on top of your money. 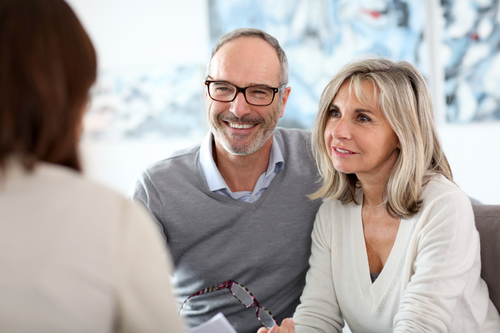 One other thing you need in retirement planning for it to go well is the financial aspect. It is crucial that you have an idea w ofhat it is that you want to do in your golden years. You cannot go to work forever and would need to retire at some point. Once that happens, do you know what you will be doing while in retirement? Are you going to open up a small business to keep you busy? Do you have a hobby you want to focus on and earn money on as well? Is traveling to different cities and countries in your list? All these will not only dictate how much you really need in retirement, but it also helps you keep busy and growing and learning even while in retirement. Retirement planning is an important aspect of your life and it should not only focus on the money you need to save. You have to factor in a lot of areas in your life such as your health and even the activities which will affect the way you save for your golden years.